Unless otherwise noted, entries must be broadcast over-the-air by a Georgia Radio or TV station between January 1st, 2018 and December 31st, 2018. Participants must be GAB members in good standing. Please contact the GAB office at 770-395-7200 with any questions regarding membership status. PLEASE NOTE: Radio and TV market sizes are not measured the same way. Please pay special attention to the criteria below. Unless otherwise noted, categories are awarded to one radio and one tv station for both large and small markets. Market size is based on 2010 US Census data. All entries must be submitted no later than Friday, March 15th, 2019 at 11:59 PM. Submissions received after this date will not be included in the judging process. There is a small fee of $15 for each entry regardless of market size. This may be paid online via PayPal or you may request to be invoiced by calling our office at 770-395-7200. All entries must be submitted online at www.rockourawards.com. Be sure to read the information on the home page concerning the entry process and appropriate file sizes and types. Stations who submitted entries last year can access their profile by clicking on the “Login” link and entering their username and password. If you do not already have a profile, you can create one by clicking the “Register” button at the top of the homepage. Complete the information, click submit and you’ll be taken to the Georgia Association of Broadcasters homepage. 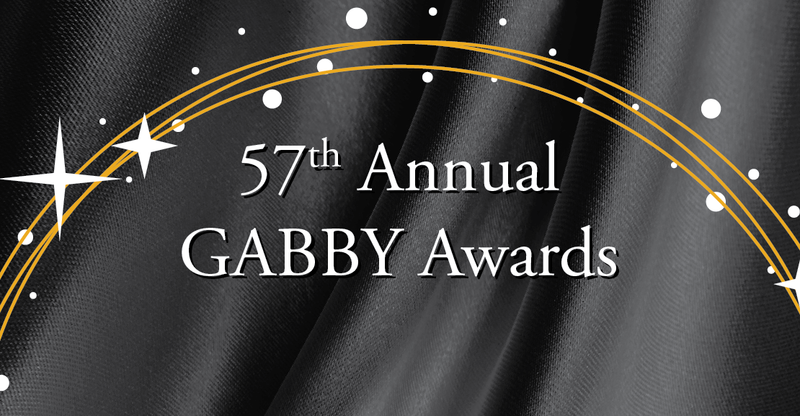 From the homepage you can review GABBY Awards rules, submit an entry, view and edit an entry, or edit your station’s information. To enter a category, click the “Submit Entry” button at the top of the GAB homepage. Then fill in the necessary entry information. The headline/title should be what you would want shown on a plaque. Acceptable file formats to upload to the site are .mp3, .jpg, .gif, .png, .bmp, .doc, docx, .wma, or .pdf files. Once your entry has been submitted, you will receive a green “Your Entry Has Been Successfully Submitted!” message. You can then view your entry, view all your entries or submit a new entry. Entries may be submitted in only one category. Composite vignettes may be used as a representative entry where appropriate. To ensure server space for all states, RockOurAwards.com requires video entries to be linked from YouTube, Vimeo, other video hosting sites, or a station website. Simply copy/paste the videos URL in the “Add Link” section. Be sure to test all of your links by logging out of YouTube or Vimeo. Special characters should be avoided in file names. Stick with letters, numbers, &, dots, dashes and underscores. You may list up to three individuals most responsible for the total production of each entry. For newscasts and other large productions, we suggest crediting “The Team at WGAB-FM” or “The WGAB Newsroom” instead of listing everyone involved. Along with your official entry you will need to include a clip no longer than :40 seconds which will be played should your entry win. The clip title must match the entry title. For radio members, upload the short clip to RockOurAwards.com with your other materials. For TV members, please paste your clip URL at the END of your entry materials. Please add “CLIP” to the title of all clip entries. Finally, be sure to include your current logo as an attachment to at least one of your entries. This will ensure that the GAB has your updated logo for the awards dinner presentation. To insure objectivity, judging is conducted by a panel of broadcast experts from outside the state of Georgia. They will evaluate all entries based on the criteria listed in the “Awards Categories” sections. Judges will likely select a first place winner in each category but are under no obligation to do so and may choose to award no prize in a category. There will only be one winner in each category. Judges may choose to recognize other outstanding work in a category with a “Merit Award.” If the judges think an entry was submitted in the wrong category, they may move it to the proper category. The decision of the judges will be final. Based on previous submission trends, and judges feedback, it has been determined that the following radio and television categories can be judged against one another, with the only dividing factor being market size. Category Description: Recognizes a single, planned community service project that has had a significant impact on a station’s local area which can be measured by how the community benefited. Broadcasters are charged with identifying what local needs are and then meeting those needs by putting internal and external resources together. This award will honor that effort and acknowledge what broadcasters do best – serve their communities. You may enter an audio or video “montage” of your project. Submission Requirements: Please submit a detailed narrative (maximum of two pages) that specifically correlates to tape/media file contents. The entire submission should describe how the project fulfilled a community need or improved the area’s quality of life. Describe the project, it’s goals and objectives and its results. Please also include one letter of endorsement from a project beneficiary. Category Description: Recognizes the best sports play by play, by market size. Entries may be of a one-time event or from a regularly scheduled series of sports events. Judging Criteria: Compelling delivery, production quality, and informative nature of the submission relative to the event covered. Category Description: Recognizes the best news story produced solely for a station’s digital platforms such as a website, social media accounts, and/or mobile app. Judging Criteria: Writing, Use of video, sound, graphics or images, interactivity, and compelling delivery. Entry Limit: Maximum of 2 links (website, social media or a combination of both) that showcases the depth of reporting and effective delivery through digital platforms. Category Description: Recognizes the best breaking news coverage originally delivered on station’s digital platforms such as a website, social media accounts, and/or mobile app. The entry can be digital only in nature, or be in conjunction with or in support of a regular newscast. Judging Criteria: Writing, Use of video, sound, graphics or images, interactivity, compelling delivery, and demonstration of cohesive continuing coverage and updates. Category Description: Recognizes the best mobile app from any station as determined by market size. Judging Criteria: User Experience,Effective use of alerts and push notifications, Ability to interact with viewers and/or listeners. Entry Limit: Entries are limited to one app per station. Please provide a link to the appropriate download page such as Google Play or iTunes. The following categories for radio will be judged based on market size. Please reference the market size reference in this packet prior to submitting your entries. Category Description: Recognize the best short-form “spot,”promoting a station. The entrant stations must have had total conceptual and creative control of the locally produced announcements which must have been designed for the local community/audience. Spots containing music must have used music in the public domain or used copyrighted music with permission. Judging Criteria: Original writing, production, use of sound and compelling delivery. Entry Limit: Entry must not exceed 1 minute. Category Description: Recognizes a locally produced feature story that is not part of a series, franchise, breaking news or general assignment reporting. Entry Limit: Entry must not exceed 10 minutes. Category Description: Recognizes the best spot news coverage aired by the station between January 1 and December 31, 2018. Judging Criteria: Writing, production, use of sound and compelling delivery. Entry Limit: Entry must not exceed 5 minutes. Category Description: Recognizes the most outstanding team political coverage of and during the 2018 election year. Judging Criteria: Writing, production, use of sound, and compelling delivery. Category Description: Recognizes the most outstanding team weather coverage broadcast predominantly to a Georgia audience. Judging Criteria: Compelling delivery, use of technology, and usefulness of the forecast to the audience. Category Description: Recognizes the best regularly scheduled newscast airing on January 24th, April 10th, July 19th or October 10th, 2018. Entrants are encouraged to pick a newscast from an ordinary day and avoid those newscasts that are heavy in breaking news or severe weather coverage. Judging Criteria: Content, performance, technical aspects, opening and style. Entry Limit: Entry must not exceed 30 minutes. Category Description: Recognizes locally produced programs on the station outside of news and sports coverage. Entries can be of a one-off production or part of a regularly scheduled or multi-part series. Judging Criteria: Writing, use of sound, and compelling delivery. Category Description: Recognizes locally produced sports programs. Entries can be of a one-off production or part of a regularly scheduled or multi-part series. Category Description: This category will recognize the most outstanding Georgia-based on-air talent. Nominated talent must be a station employee or contract employee aired on the submitting station. Judging Criteria: Entertainment value, compelling delivery, variety of skill set, and community involvement of the talent. Category Description: This award recognizes the best performance by an individual reporter of local news events or stories. Entry must have been developed for the local community/audience. Entrants must submit an audio montage representative of the their on-air performance. Judging Criteria: Significance, presentation of facts, delivery and/or creativity, entertainment value, and effective use of audio. Judging Criteria: Original writing, production, use of video and sound as well as compelling delivery. Judging Criteria: Writing, production, use of video, pictures, graphics and sound, as well as compelling delivery. Judging Criteria: Writing, production, use of video and sound as well as and compelling delivery. Judging Criteria: Writing, production, use of video and sound, as well as compelling delivery. Judging Criteria: Writing, use of video and sound, as well as compelling delivery. Category Description: Recognizes the best Georgia-based television news anchor. Talent must be a station employee or contract employee aired on the submitting station. Judges will consider entertainment value, compelling delivery, and community involvement of the talent. Judging Criteria: Compelling delivery, Ability to juggle anchor responsibilities while also getting out in the field to produce features, series and general assignment reporting, and overall community involvement of the talent. Category Description: Recognizes the best performance by an individual television news anchor. Entry must have been developed for the local community/audience. Entrants must submit a video montage representative of their on-air performance. Judging Criteria: Compelling delivery, entertainment value, ability to juggle anchor responsibilities while also getting out in the field to produce features, series and general assignment reporting, and overall community involvement of the talent. Category Description: Recognizes the best performance by an individual reporter of local news events or stories. Entry must have been developed for the local community/audience. Entrants must submit a video montage representative of their on-air performance. Judging Criteria: Significance, presentation of facts, delivery and/or creativity, entertainment value, and effective use of video and audio. Category Description: Recognizes the most outstanding local meteorologist presenting daily weather segments, severe weather coverage and weather related stories. Judging Criteria: Compelling delivery, use of technology, and ease of translating technical meteorology terms and concepts to a general audience. Category Description: Recognizes the most outstanding photojournalist in their ability to convey news in a visual form as demonstrated in a compilation video. Judging Criteria: Creativity, continuity, and technical production. Entry Limit: Entry should contain 3-5 stories or events and must not exceed 5 minutes. With the exception of the Best of the GABBYs award. The following categories are awarded outside of the GABBY Awards ceremony unless time permits them to be included. Category Description: Recognizes the radio and TV stations (both small and large markets) judged to be best given the quality of the station’s program service, community involvement and content as determined by the number of winning entries in this year’s GABBYs. Winner is based on submissions in previous categories. Category Description: Recognizes the most outstanding broadcaster based on their involvement in the industry and support of the Georgia Association of Broadcasters and as determined by the GAB Board of Directors. Category Description: Recognizes the most outstanding radio and television stations (both large and small markets) based on their support and promotion of the Georgia Army National Guard through the GAB’s Public Education Partnership (PEP) program. Category Description: Recognizes broadcast engineers who over their careers have displayed outstanding leadership and contributed significantly to Georgia’s broadcast industry. Nominations are accepted prior to GABCON with honorees being selected by a committee of previous award recipients. Category Description: Recognizes those individuals who, through their efforts and support of broadcasting and have made a lasting impact on the GAB and Georgia’s broadcasting industry as a whole. Recipients are nominated and selected by the GAB Board of Directors.